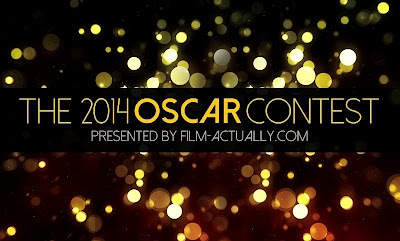 Film Actually: CONTEST: Predict the Oscar nominations! 1. This contest is open to LAMB members only. 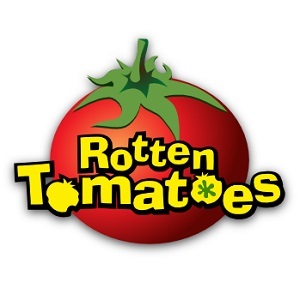 I prefer to keep this as a community blogathon-like event. 2. To register: fill out the entry form below by 6PM US Eastern Time on January 11th, 2014. 3. To submit your predictions: send me (via twitter or email) a link to your blog post with your FINAL predictions. I will then save your predictions and enter them into my spreadsheet. You predictions are due by 6PM US Eastern Time on January 15th, 2014. I will not accept any changes to your predictions after they have been submitted. 2. If by some miracle you get every prediction correct, I'll add a $10 bonus. 3. In the event of a tie, the winner will be the person who scores highest in the Best Picture category. If there's still a tie, we'll go to Best Director and further down the list until the tie is broken. The loser of the tie will receive a DVD/Blu-ray of one of last year's Best Picture nominees (your choice). 4. Anyone who is the only person to predict a particular nomination correctly will receive a DVD/Blu-ray of one of last year's Best Picture nominees (your choice). If you have any questions, feel free to ask in the comments section. Good luck! Thank you to Lindsay (of French Toast Sunday fame) for this year's swanky banner!